Today Magners announced that, following unprecedented demand, their 1967 limited edition pack has sold out in less than a fortnight. But fans need fear not – another run of the Lisbon Lions special cider has been ordered and will be available in the coming weeks. Celtic sponsors, Magners have raised a staggering £19,670 for the Celtic FC Foundation through the special pack. £10 from each of the first 1,967 packs was donated to employability programs that help long-term unemployed people get back into work. 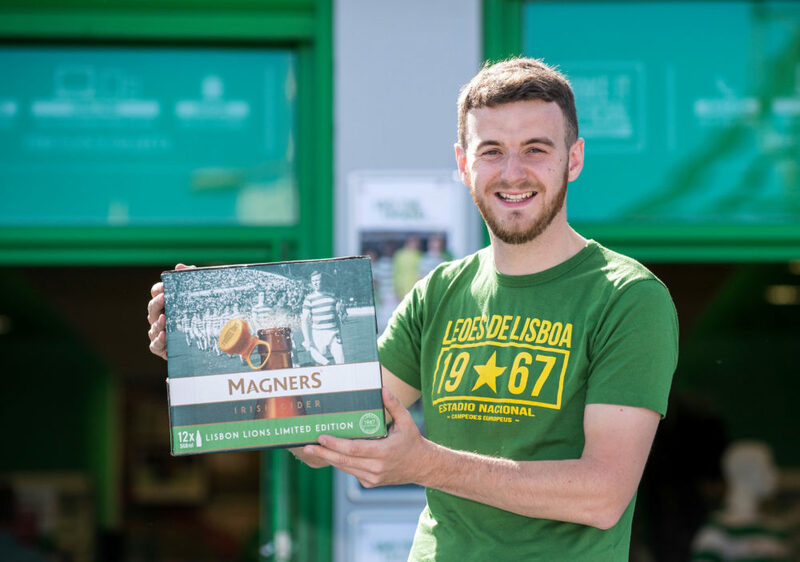 The commemorative packs of Magners Original Cider were emblazoned with the iconic image of the Celtic team taking to the pitch ahead of the 1967 Final, with each bottle label carrying the names of the legendary players who made history in the heat of Lisbon. The special packs, which mark the 50th anniversary of the Hoop’s historic win, will be available again from the end of June and fans looking to order can reserve them from the Celtic Superstore in Glasgow (T: 0141 551 4231).